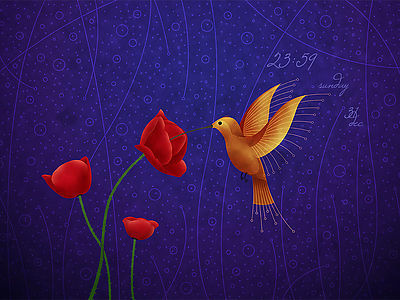 Wallpaper Clocks have always been of great fascination for me. 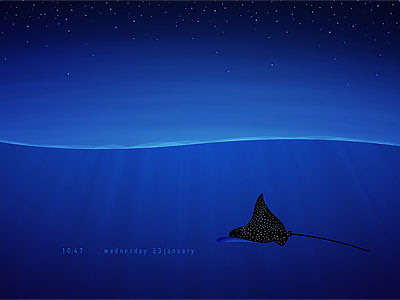 Unlike many other desktop eyecandy that we have discussed before, Wallpaper Clocks are quite unique and will work almost like your ordinary wallpaper in terms of memory usage. 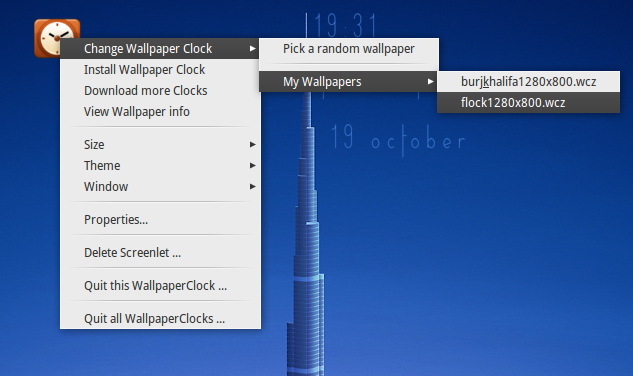 If Ubuntu 10.10 customization tips are not good enough you, try wallpaper clocks. A big surprise is assured. 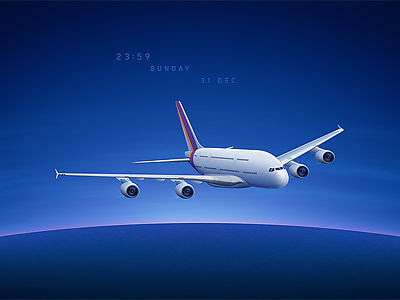 Hope you liked our collection of wallpaper clocks. 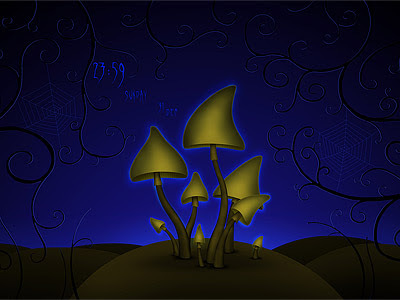 You could find literally hundreds of beautiful wallpaper clocks, both free and paid ones, at Vladstudio. 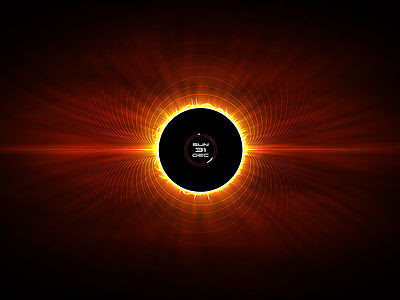 Following are the installation steps. How to Install Wallpaper Clocks in Ubuntu 10.10 Maverick Meerkat? 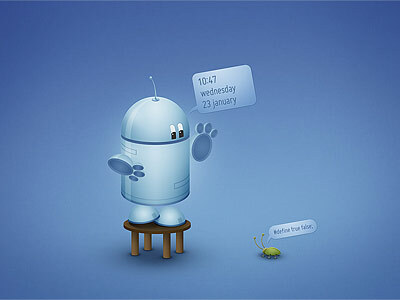 You will have to install 'screenlets' first. 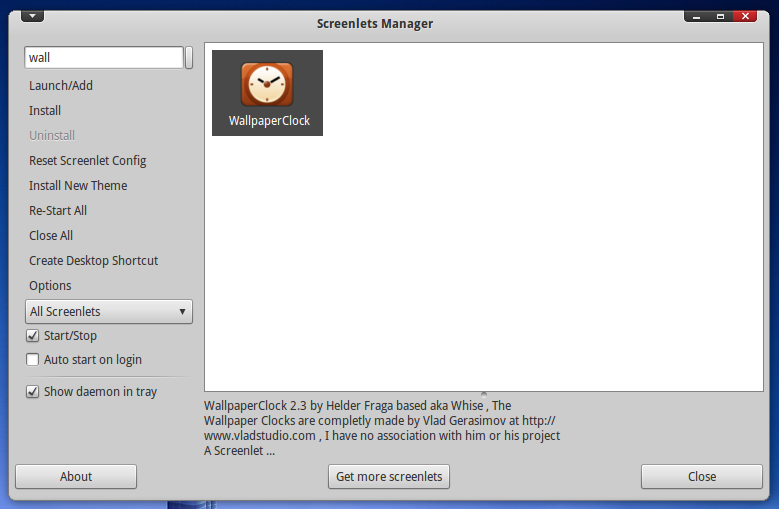 For that, you could simply search for screenlets in Ubuntu Software Center or you could use the following command. Done. Now goto Applications - Accessories - Screenlets. 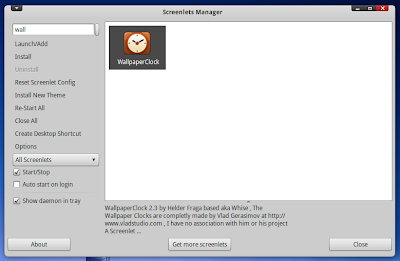 Search for Wallpaper Clock inside Screenlet and hit Launch/Add button. 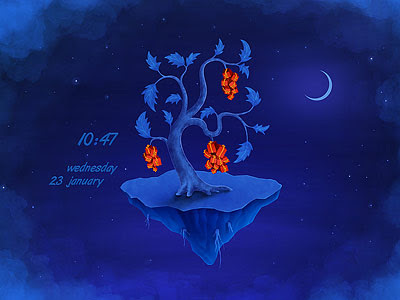 Now you will find a small clock like icon in your desktop. 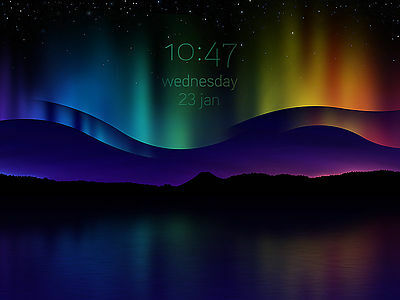 Right Click on it and select Install. Browse to the downloaded wallpaper clock file(will be in a .wcz format). 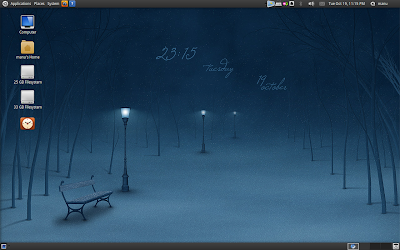 And if you are wondering, the theme I am using in the above screenshot is my all time favorite Equinoz GTK + Faenza Icon theme combination. 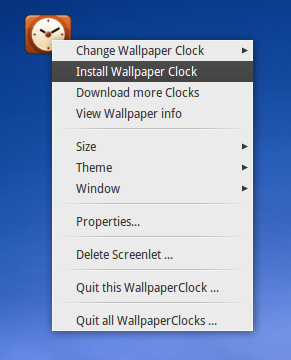 Now to use the wallpaper clock you just installed, again right click on the icon and select Change Wallpaper Clock option like in the screenshot above. Done. 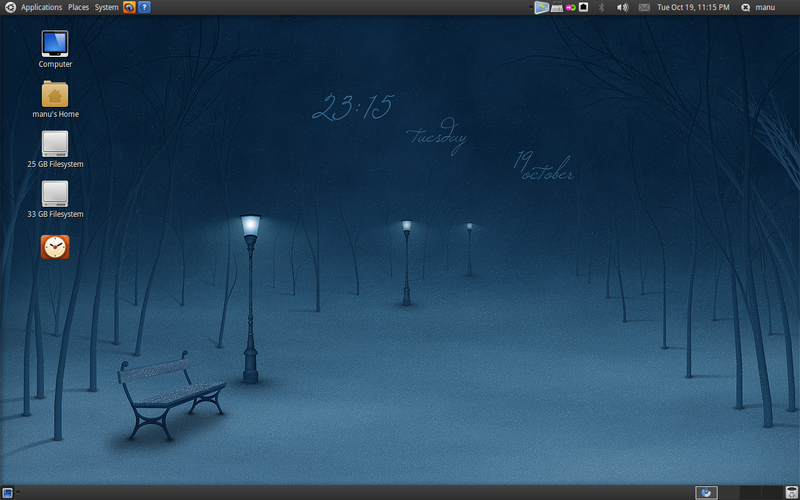 Here's my desktop. Hope it worked for you as well. 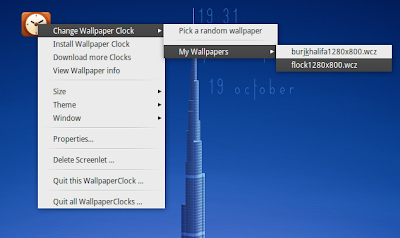 Now have fun with tons of free wallpaper clocks available primarily at Vladstudio and let us know how much you liked them. 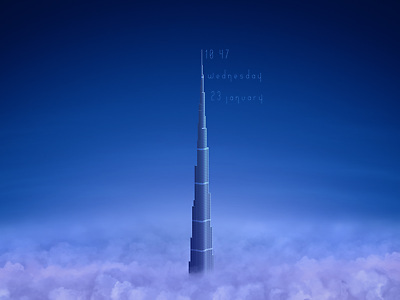 A post about wallpaper clocks was among the first posts ever submitted at Tech Drive-in. 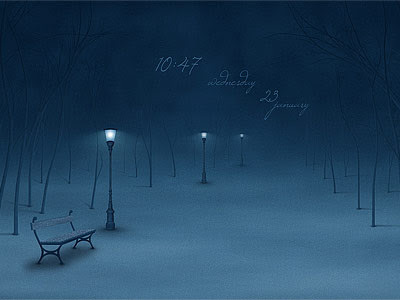 You can find a few more wallpaper clocks there also.